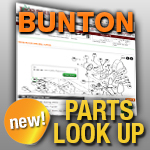 Bunton Tires:Need a new rear tire or front caster wheel for your Bunton commercial mower? Jack's has the replacement Bunton tires you need. We also have Bunton Wheels. Select the type of tire you need below.